Westfield created an immersive pop-up shopping experience in its London sites, designed to show people how virtual reality (VR ) and other technology might start to change the shopping experience. In March and April, Westfield shopping centres in London hosted an interactive tech experience, which aimed to show shoppers how technology such as virtual reality would start to work its way into their shopping trips. 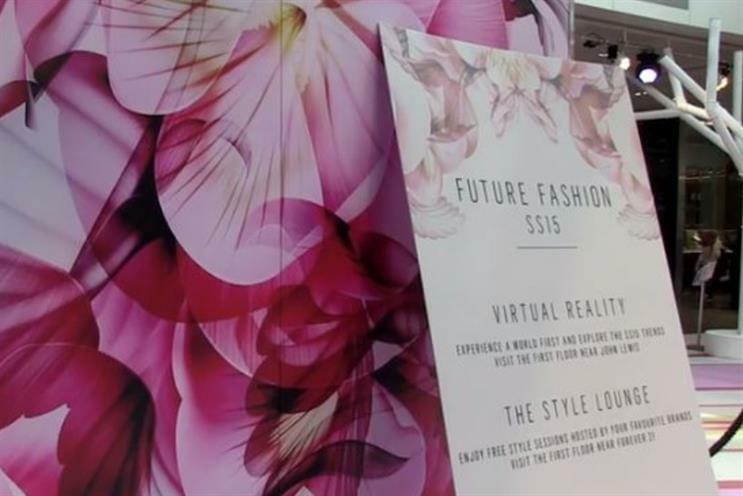 Westfield partnered with Inition to create the experience, which included Oculus Rift virtual experiences as well as interactive screens, which turns people into fasion avatars. Myf Ryan, director of marketing for Westfeld Uk and Europe, said, "Digital is such an integrated part of people's lives that we need to deliver a digital experience in our shopping centres, that's what we've done with the Futre Fashion event, as well as other activities such as wifi and click and collect."